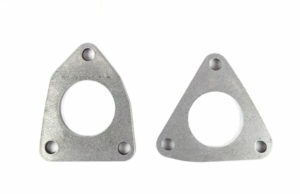 LS engines come with odd shaped exhaust manifold flanges. Sometimes when you receive a used engine the flanges are not included. 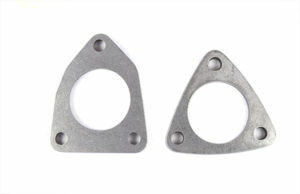 Not to worry, LSX Innovations stocks a variety of LS exhaust flanges to get your project underway. 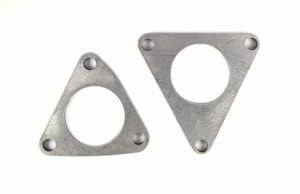 Our LS exhaust flanges are also great for custom turbo applications. We offer LS exhaust flanges in 2.25 and 2.5 exhaust diameters. Simply slide your pipe into the LS exhaust flange and weld.